Samsung is one of the industry leaders when it comes to huge, 4K HDR televisions. Now, the company is set to expand from the consumer market and into the cinema business with its new Cinema Screen, a LED 4096 x 2160 resolution screen that measures a massive 34 feet. Unveiled during the Cinemacon 2017 conference earlier this week, Samsung says its screen is the world’s first High Dynamic Range LED theater display, able to show movies at a peak brightness level that’s nearly ten times greater than standard cinema projectors (146fL versus 14fL). It also comes with ultra-contrast and low tone grayscale settings that “enable the screen to showcase both brightest colors and the deepest blacks at a nearly infinity:1 contrast ratio”. The Korean company hasn’t revealed how much the Cinema Screen will cost. But as noted by Engadget, the $30,000 price tag of Samsung’s upcoming 88-inch Q9 TV suggests the 34-footer is going to be out of reach for all but cinema chains and the very rich (who have homes big enough to fit one). It is, however, smaller than most current cinema screens, which usually measure up to 65 feet wide, or around 72 feet in the case of IMAX. It will be a few years before Samsung’s display start showing up in US cinemas. It's currently undergoing the DCI certification process, having just completed compliance testing at Tokyo’s Keio University. 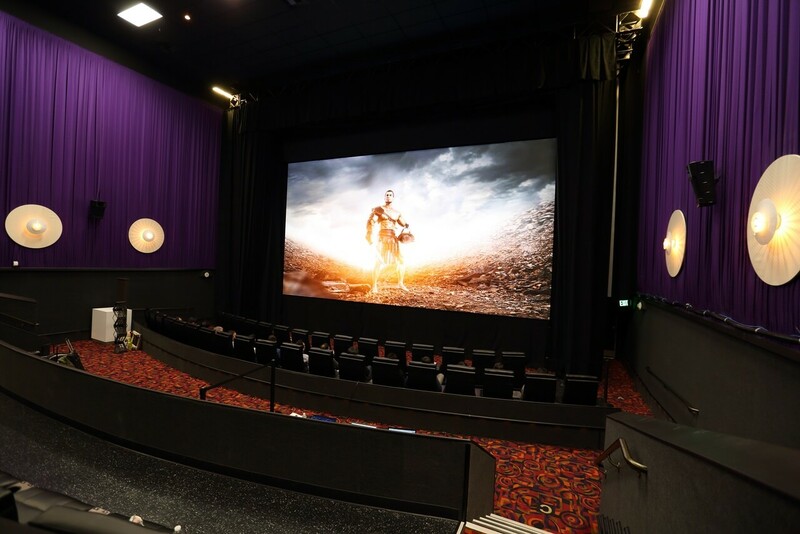 VP of Samsung Electronics America, Sang Kim, says the LED screens would benefit those cinemas that rent out their auditoriums for corporate events, concerts, or even gaming competitions.